Grand Central Market. Photo by Christina Minh / We Like L.A.
You know what’s handy? Waking up in the morning, firing up your phone/computer and being able to scan a super quick (but curated) rundown of the best of what lies ahead. So here it is, our list of fun things to do in Los Angeles for today, Wednesday, February 6, 2019. 2. [2 p.m.] Humphry Slocombe hosts an Ice Cream Happy Hour every Wednesday from 2-6 p.m. where Angelenos can get a free scoop after the purchase of a single scoop. View the February flavors here. 3. [6 p.m.] Angel City Brewery and Non Toxic Revolution will be teaching Angelenos how to make aromatherapy rollers from organic essential oils, flowers, and herbs. The class cost $15 and guests will take home two customized roll-on scents. 4. [7 p.m.] Stop by Salazar every first and third Wednesday from November to February for a Mezcal Tasting Series with select mezcal brands. You’ll hear the history and culture of each brand and taste different expressions paired with snacks. 5. [7 p.m.] The Continental Club hosts cocktail classes every Wednesday where you can learn bar basics, techniques and a little history on classic and contemporary cocktails. The class will be followed by a spirits tasting. 7. 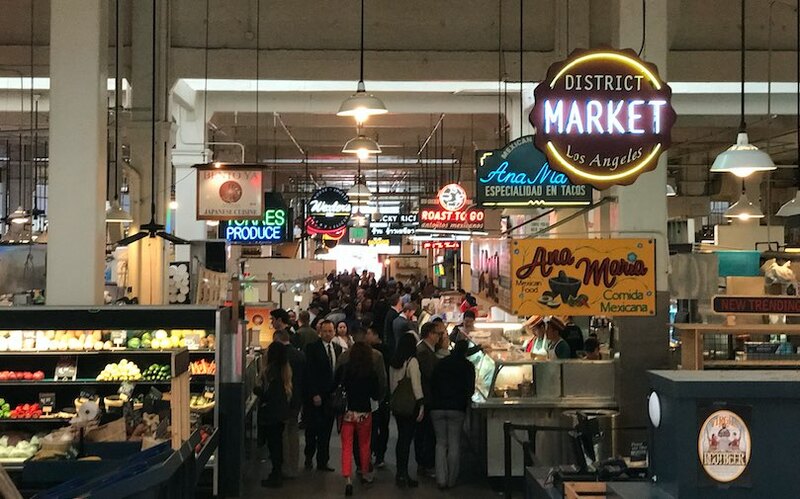 [8 p.m.] It’s Trivia Night at Grand Central Market starting at 8 p.m over on the Broadway side of the market. 8. [9 p.m.] The Edison presents an Evening of Latin Jazz with guest band La Verdad. Dance instructor Charlene Rose will give free salsa lesson at 8 p.m. and the band plays at 9 p.m. There’s a $5 cover at the door. 9. [9 p.m.] Dub Club Presents A Tribute to Bob Marley and Dennis Brown at Echoplex.